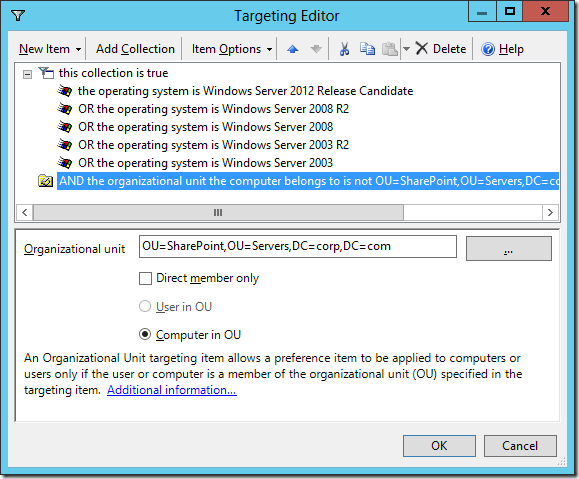 Because deployments of Microsoft SharePoint 2010 Products are managed at the farm level, a single SharePoint deployment has no information about other SharePoint deployments that might exist in the same enterprise. 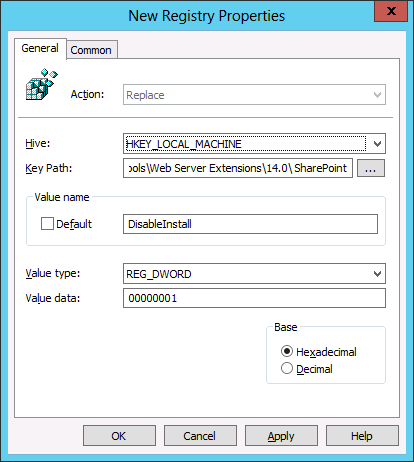 Therefore Microsoft has provided a registry key you can create on your server to ensure that SharePoint will not install. Step 1. To deploy this key create a new GPO with the following Group Policy Preferences Registry Extension and link it at the domain in your organisation. 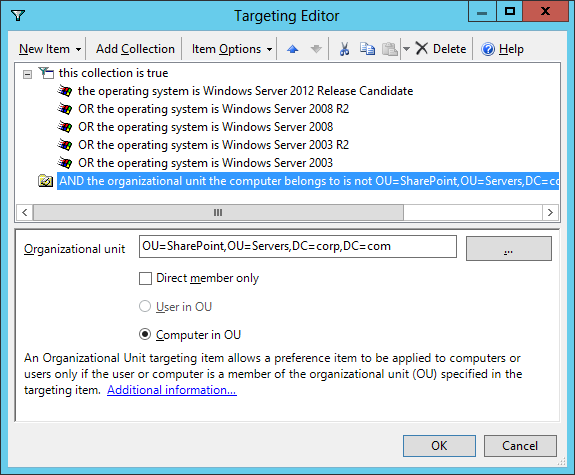 However you may want to have SharePoint 2010 installed on your approved server so you will need a way for this setting to be removed for these approved servers. Step 2. To do this go to the common tab and tick the “Remove this item when it is no longer applied” option. This way the registry key will be deleted for any server that is approved to have SharePoint 2010. Then tick “Item-level targeting” and then click the “Targeting…” button. (Hence the Replace is used in step 1). Step 3. 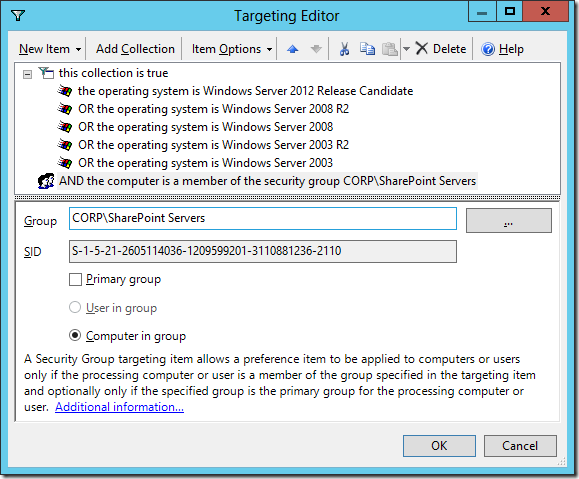 Option #1 would be to target the setting to NOT apply if the server computer account is in the “SharePoint” server OU. This is obviously only practical if all you SharePoint servers were grouped together in one OU. Step 3. 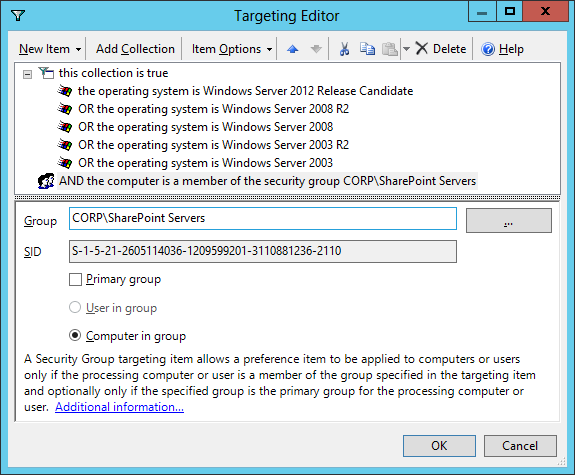 Option #2 would be to target the setting to NOT apply if the server computer account is in the “SharePoint Servers” security group. This option is more suited if you have servers spread out over your organisation. Note: In both examples I have added a condition that this setting will only apply to server operating systems therefore avoiding the key to get pushed to on to any of the workstations in the organisations. It is possible to install SharePoint on Windows 7 for development purposes, so pushing the GP out to those machines as well may be worthwhile. no friend its not possible, you should install only on server operating systems windows 2008 or 2008 r2..
Is same applicable to all softwares…!!! !